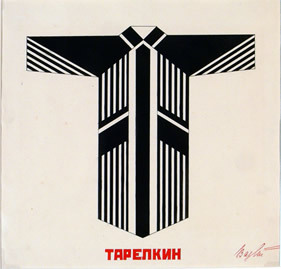 In collaboration with the Bakhrushin State Central Theatre Museum, the Victoria and Albert Museum is showing radical designs by the Russian Avant-Garde between 1913 and 1933. The historical backdrop to this exhibition is dramatic: World War One, the fall of the Tsar, two revolutions, civil war and famine. Together with religion and nationality all canons and conventions were swept away in an unprecedented artistic outpuring. Artists came out of their studios and many of them gathered in the theatres where they could collectively experiment and formulate their new cultural identity. Western cubist and symbolist ideas were already growing out of clubs and variétés and circuses too had a huge influence on the perception of the theatre. Acrobats, clowns, musicians – even machines – appeared bringing physicality and depth to an audience that was ready for the ultimate spectacle. Constructivist stage designs aspired to an unlimited freedom in an unlimited space. The speed of it all was breathtaking. Looking at the wild and colourful designs and models on display at the V & A, each production seemed to represent an entirely new era. 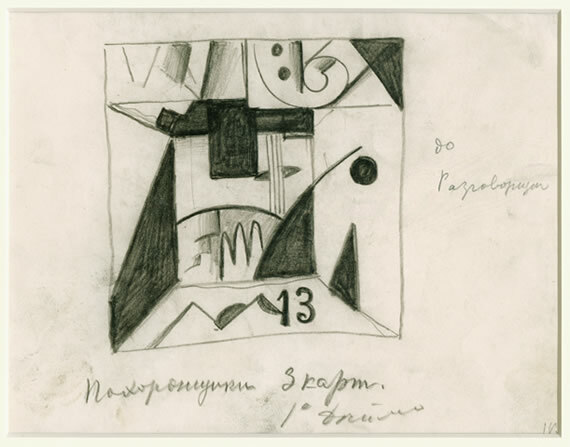 Among the highlights are Kazimir Malevich’s sketches and lithographs for Victory Over the Sun (1915), Liubov Popova’s maquette for The Magnanimous Cuckold (1922) as well as Alexander Rodchenko’s futuristic ensembles for The Bedbug (1929) alongside works by Vladimir Tatlin, Alexandra Exter, El Lissitzky and Varvara Stepanova. 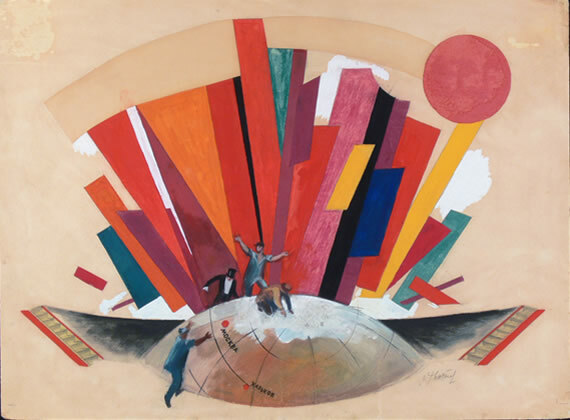 Popova’s set design, for example, was comprised of a mechanical mill, wheels and conveyor belts and provided a backdrop for Vsevolod Meyerhold to present his acting theory of biomechanics, which favoured gesture over psychological interpretation. The revolt against a falling wall – the waning Tsar – may have been a soft one. The real danger was still to come. With Stalin’s rise to power a slightly different script was written. Russia’s avant-garde who never really claimed to be political was chained by Social Realism and its watchdogs. They were deemed formalist and bourgeois – their art inaccessible for the working class. Those who kept resisting were gambling with their lives. The director giant Meyerhold was executed 1940, Les Kurbas shot, whilst Mayakovsky committed suicide. By 1933 the messianic role of the Russian theatre had come to a premature end. On the way back to South Kensington Station I wondered whether British theatre had been affected by this eastern nova. It certainly had a huge and lasting impact in the German theatre. 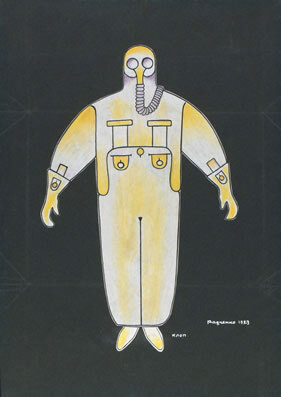 In the 1920s Brecht, Piscator and company took much of their inspiration and developed it into their own style. runs until the 25th of January 2015. Open daily 10:00–17:45 and until 22:00 every Friday.